Calgary Dental Centers is proud to offer dentistry for all. Professional dental cleanings service in Calgary, AB at one of our two convenient area locations is a cornerstone of dentistry. This service helps to prevent the need for expensive restorative procedures. Proactive, routine cleanings at intervals as advised by Dr. Asaria for your unique needs are the foundation for oral health and overall wellbeing. Millions of articles on the connection between oral health problems like gum disease and medical conditions like cardiovascular disease have been written. Brushing and flossing every day isn’t enough. 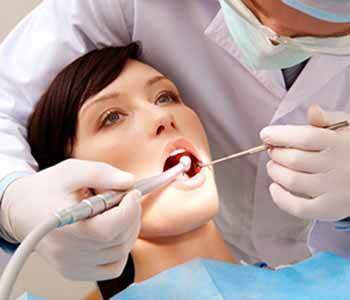 For oral health, you need to clean adequately. You may think you’re cleaning adequately, when you’re actually not doing so. Routine cleanings and exams detect underlying issues. Often, early-stage disease and decay are “silent,” meaning you have no symptoms. The professional team at Calgary Dental Centers is adept at spotting what you cannot. Early intervention is usually associated with successful and fast outcomes. Plaque is constantly forming on your teeth. You can remove plaque with a brush, but, if it’s allowed to harden and becomes tartar or calculus, the brush won’t do much good. Removing hardened plaque requires the skill and tools of a dental hygienist, which are only available at the dentist’s office. Professional cleanings reinforce your good home care regimen, while also helping to detect potential trouble spots in your mouth. It’s generally recommended that patients visit the dentist for such preventative care once every six months. If it’s recommended that you visit us more frequently, there is a good reason for it. For example, you may be on a treatment regimen to resolve periodontal disease. Likewise, more frequent cleanings may be recommended if you’re at heightened risk of developing gum disease. Risk factors include advanced age, which is often associated with damaging dry mouth, the presence of medical conditions like diabetes and HIV, or the use of certain medications that are often associated with dry mouth. Lifestyle factors like smoking and tobacco use may also lead to the need to have cleanings more than twice a year. Look forward to that minty-fresh feeling! Before your mouth can feel its fresh best, the dental hygienist examines your mouth for signs of inflamed gums or other oral concerns, including cancers. If it’s a major issue, Dr. Asaria may also check your mouth to make sure it’s OK to proceed with the cleaning. Generally, patients who practice diligent and thorough flossing and brushing at home won’t experience any discomfort during cleaning. If you’re lax on home care, there may be discomfort or sensitivity, but that can be relieved with numbing topicals. Floss at least once every day. If you brush and don’t floss, it’s estimated that you miss more than one-third of each tooth’s surface. Floss gently yet thoroughly, without the snapping and aggressive action that can damage tissue and trigger sensitivity. Use at least 18 inches of floss every time you clean. Reusing a segment of floss results in spreading bacteria or relocating it to another part of your mouth versus removing it. Spend at least a couple of seconds flossing each side of the tooth. These and other tips to a healthier and fresher mouth are a phone call away. Schedule an appointment at Calgary’s Dental Care or 17th Avenue Dental Center.